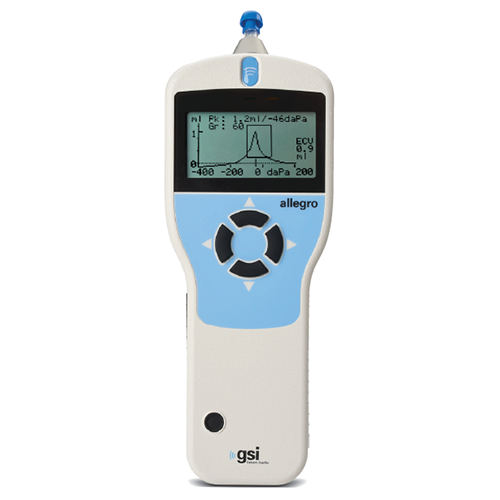 The GSI Allegro™ is a handheld screening device ready for any testing environment that requires tympanometry and ipsilateral reflexes. The Allegro offers a four button navigation that allows for quick and reliable testing. Automatic measurements of the middle ear status are completed in seconds using the device’s configurable test settings. The Allegro includes a charging cradle, thermal printer, and carrying case.